Ferdinand Ries’ first cello sonata was written for Bernhard Romberg in 1808, who performed frequently with Beethoven at that time. 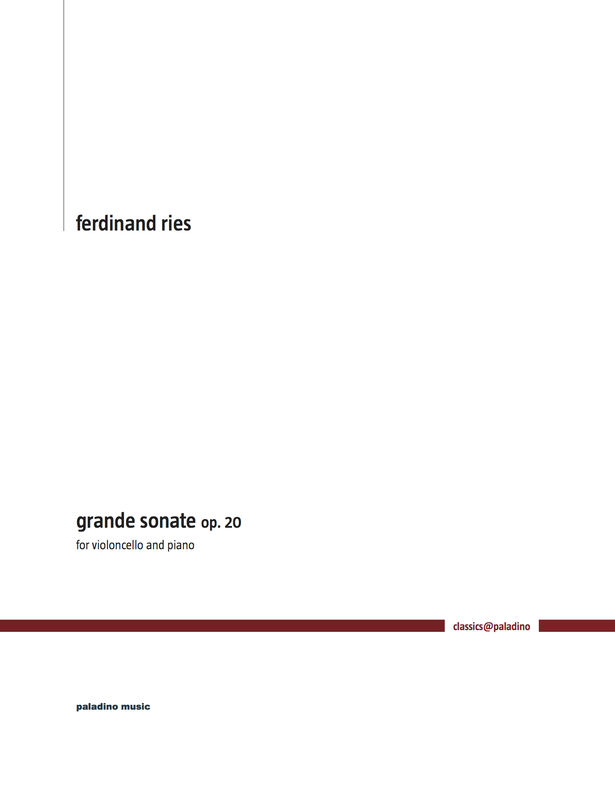 The title “Grande Sonate” clearly refers to the aim to excel music written for amateurs to play at home. The edition has two cello parts: one with the original phrasings only, and one with my suggestions for fingerings and bowings.